Down with the extraterrestrial menace! 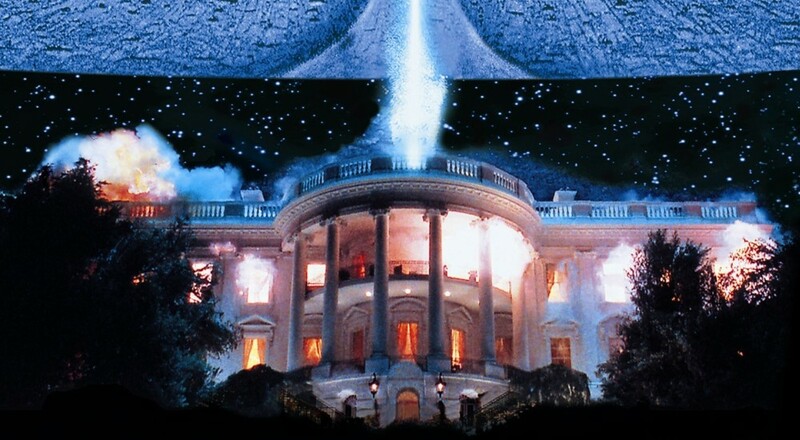 Not a lot of action this weekend, I'm afraid, as the Co-opticrew is gearing up to celebrate the release of Independence Day: Resurgence, and also some ancient, pre-Myspace holiday? Not quite sure what the deal is with that second bit, but golly, I sure am excited to watch America sock it to some extraterrestrial invaders. Of course, I'd be remiss if I failed to mention the most important activity this weekend: Steam's 2016 Summer Sale. Not quite sure how to navigate Gabe Newell's Labyrinth of Splendorous Savings? Afraid you'll happen upon the minotaur that lives within the confines of those discounts? Let our Staff Picks be your guide! Once you've given those a look-see, why don't you glance over what we'll be up to this weekend? I'll give you a hint - it's wondering how we got suckered into buying like thirty games again. Nick Puleo (@NickPuleo) - "Finally going to wrap up Uncharted 4, check out Halo 5's Firefight mode, and then stare at my Steam library and wonder what happened." Jason Love (@JLove55) - "I'll be diving further into the world of Japanese idols and their side job of saving Tokyo from evil in Tokyo Mirage Sessions #FE." Mike Katsufrakis (@Pheriannath) - "I'm thinking of taking it a little easy this weekend. My wife and I are doing a true co-op playthrough of Final Fantasy VI, and that's going really well." Marc Allie (@DjinniMan) - "Super busy weekend, probably just mobile gaming if any. Hearthstone and Transformers Earth Wars will have to suffice!" Eric Murphy (@smurph_em) - "We're going to stream a little Dungeon of the Endless, and maybe Orcs Must Die 2 tonight at 8PM Central. Join us on our Twitch channel!" John Bardinelli (@itsamejohn) - "My resolve has weakened enough for me to participate in the Steam summer sale. I'll be doing the gaming equivalent of buying ten pints of different flavor ice cream and eating from all of them out of guilt." Locke Vincent (@LockeVincent) - "I have yet to try Lovers in a Dangerous Spacetime's 4 player mode so I'm going to have people over and control a space ship." Sam Tyler (@thereelsamtyler) - "Having checked out HAWKEN, I plan not to be playing that." Tally Callahan - "My parents are in town visiting, so nothing planned game-wise." Enoch Starnes (@enochstarnes) - "I'll be poking around in Final Fantasy Brave Exvius as I celebrate my (and America's) birthday." How about you? Will you be going to see the latest and greatest in anti-UFO propaganda, or are you celebrating our country's history through the ritualistic grilling of hot dogs? Let us know in the comments! Page created in 0.8604 seconds.